They came for the small ones, the gherkins, and I said nothing. Then they came for the larger cucumbers and the zucchini, and I did nothing. The vegetable marrow and the summer squash went, and still I said nothing. Then, the melons were gone before I could even think of doing anything. The thumping thuds on the watermelons haunt me still. Now they’ve come for my brother and me. I smell the ginger, nutmeg, and cinnamon even as they carve a hideous face on my brother. 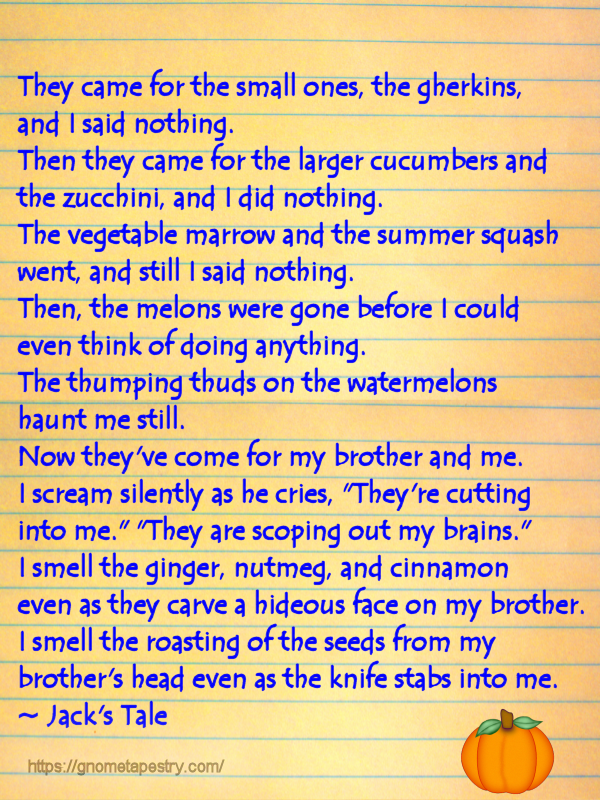 I smell the roasting of the seeds from my brother’s head even as the knife stabs into me. We all have to choose a path. 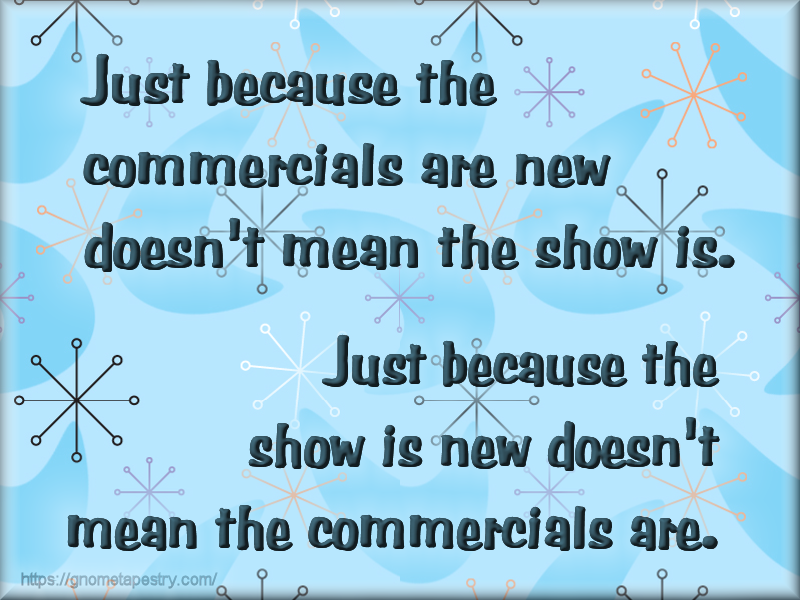 doesn’t mean the show is. 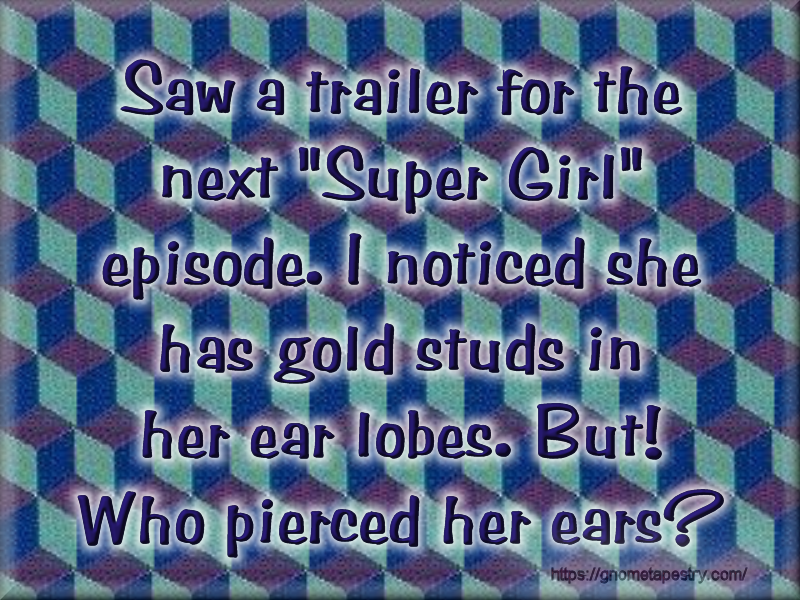 Bullets… no …diamond bit drill… no …can you think of how? I guess we must have dodged a bullet again. Here we are on September 24, 2017, and the Earth was not destroyed on the 23rd. 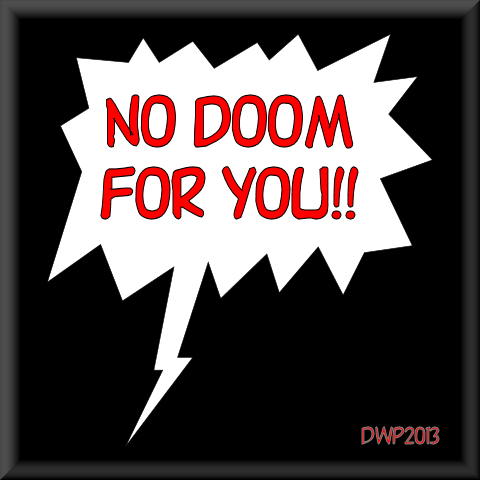 How many dooms have we dodged in our lifetimes? Those prophesies of doom and gloom couldn’t have been wrong. 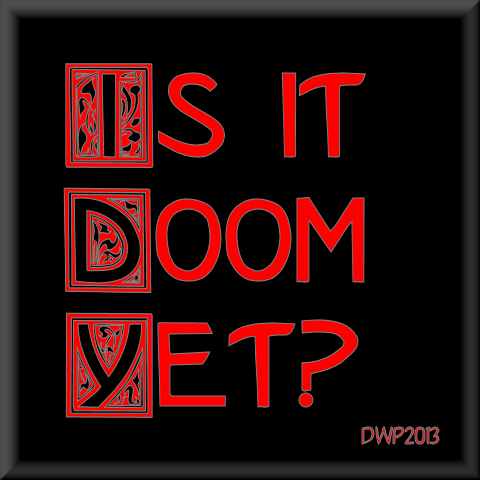 September 23, 2017 — Is it Doom Yet? It’s September 23, 2017 and once more we haven’t been destroyed by a rogue planet. I wonder how many dooms we shall live through in our lifetimes? When is a passenger not a passenger? Feel free to share this with your friends! 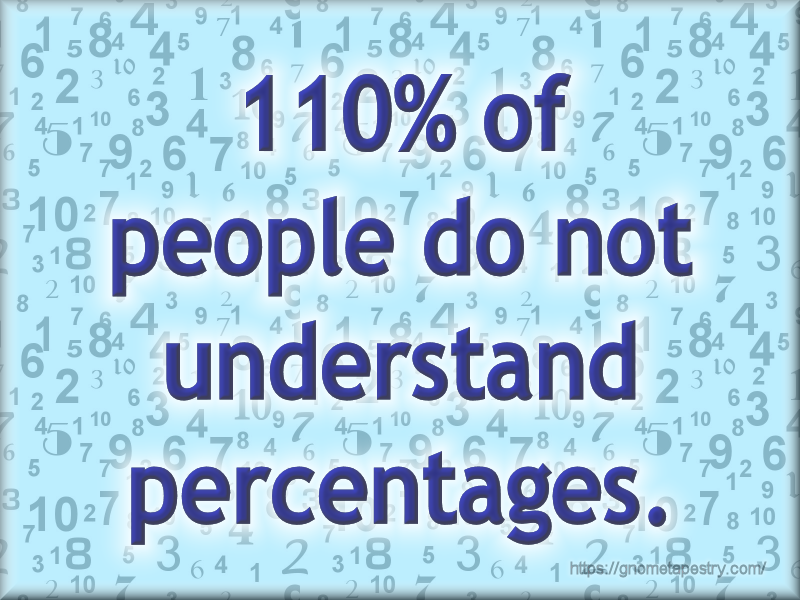 110% of people do not understand percentages.. If you had everyone on Earth hold hands around the Earth’s equator, they would circle the Earth over 156 times. Oh, and likely 2/3rds of them would drown. Rasputin is a descendant of both Alexander the Great and Genghis Khan. Sasquatch are the descendants of the extinct short-faced bear. Chemtrails are caused by the expansion of hot exhaust into cold air. Santa Claus was originally a bishop in Turkey by the name of Kızak Sürücüsü. The Thesaurus was vegetarian, ate only plant matter, and was herbivorous in nature, disposition, and essence. The World is not flat. Obviously it is a hollow sphere with polar openings. Amoeba can spontaneously group together and form a multi-cellular organism. Fungi are neither plant, nor animal. 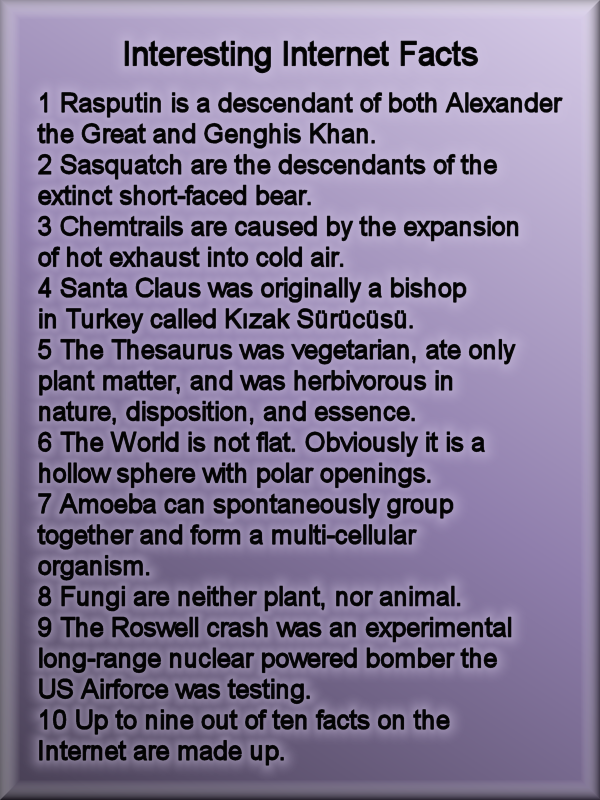 The Roswell crash was an experimental long-range nuclear powered bomber the US Airforce was testing. Up to nine out of ten facts on the Internet are made up. Sometimes it is important to double-check any facts you find on the Internet.